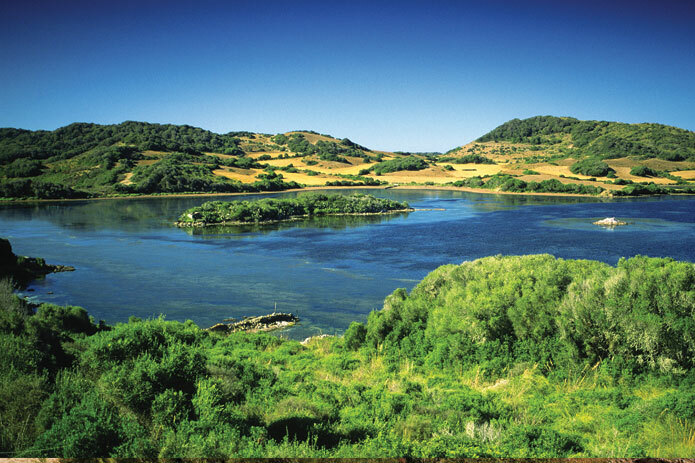 Albufera des Grau Natural Park covers around 5,100 hectares of north-east Minorca and is the core area of the Biosphere Reserve. In declaring Albufera des Grau a National Park in 1995, a number of building projects dating to the 1970s, that would have threatened the marshland, were stopped and the area was preserved. The boundary of the park was extended in 2003. 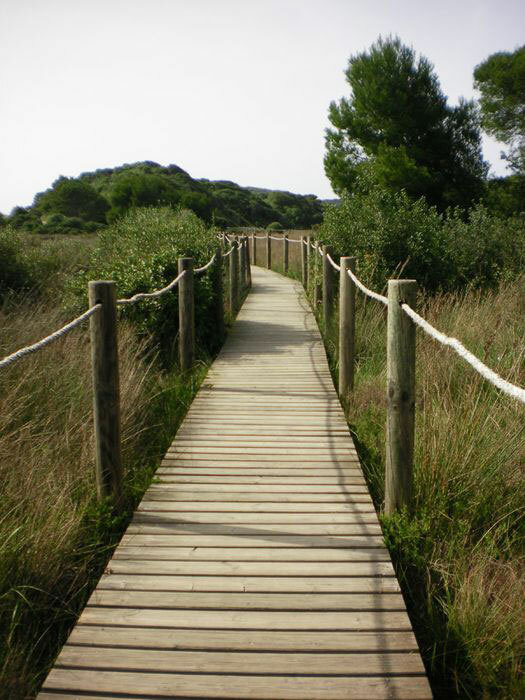 Albufera des Grau is an excellent example of a diverse number of Minorca’s natural habitats: marshlands, wild olive woods, temporary ponds, dune systems, sea phanerogam prairies and coastal islets. These habitats contain considerable biodiversity, and are home to a number of endemic and important species such as the fisher eagle or the Balearic lizard. 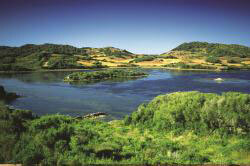 Albufera des Grau is a 70 hectare lagoon and it is one of the most peculiar ecosystems of the island. At places, its depth reaches three metres and it is a habitat for families of water plants such as Rupia cirrhosa or Potamogeton pectinatus, which together with a number of fishes converts the lagoon into a stop-off point and home for many water birds, such as the common coot (Fulica atra) or the fisher eagle (Pandion haliaetus). The fact that some of the natural springs have dried out, mainly because of over-exploitation of water reserves, means that changes have occurred in the way in which water is distributed across the Albufera. As a result, constant controls over the water flowing between the sea and the lagoon exist. The coast, and in particular, its islets, are a paradise for certain endemic species thanks to the hard conditions (winds, drought, salt, etc.) Plants like the spiny thickets known locally as socarrells and animals like the Balearic lizard inhabit these surroundings. Free from any competitors, this is the only place in the world where this lizard can be found. Under the calm water, the sea beds are covered with Posidonia oceanica and Cymodocea, both acting as a refuge and a feeding spot for fish, as well as having the role of being a ‘sand factory’ for the beaches. The agro-forest mosaic within the park is made up of alternate fields for livestock, farmland and trees, and this habitat has a very high density of flora. To conserve this mosaic, one of the local government’s priorities is to support rural activity within the park. Agriculture dates back many years, as the rich ethnologic patrimony (wells, huts) as well as prehistoric remains (talayots) indicates.